Welcome to the Meet Alphabet Allie page. 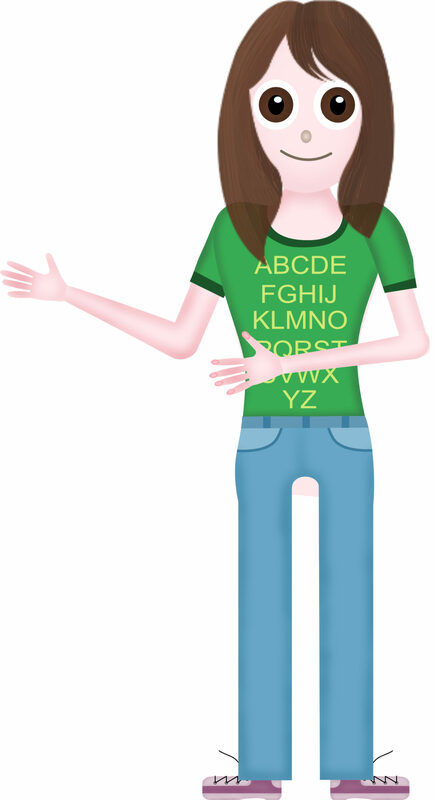 Alphabet Allie is a character I created in 2016. She is part of my Learn New Words characters. Her role is to be involved in learning the alphabet. Each Alphabet Allie story is based on one letter of the alphabet. Alphabet Allie and her friends go on adventures and each time a word appears in the story, Alphabet Allie and her friends point it out. This entry was posted in Alphabet Allie Stories, Learn New Words Stories, Meet the Characters and tagged friend. Bookmark the permalink.